Re: Requests for inputs, suggestions and proposals on the planned amendments of the National Environment Management:Biodiversity Act (act No.10 of 2004)(NEMBA):CITES Regulations, 2010. The TGA is not directly involved with the implementation of the NEMBA Act, so we shall defer to those people in the wildlife industry who are – and leave them to make the suggestions that you require. The TGA is, however, deeply concerned about South Africa’s very compliant attention to the requirements of the CITES convention whilst seemingly ignoring the often dire needs of South Africa’s wildlife industry, and its rural people, which needs are consistently being denied by CITES. Many people are restless as a consequence. 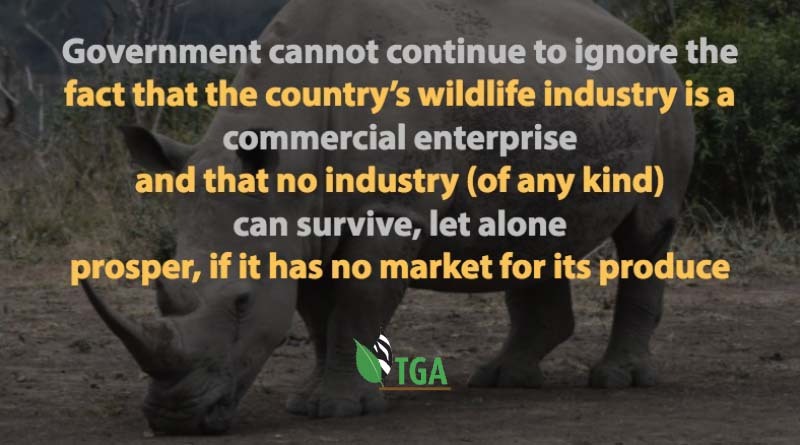 Government cannot continue to ignore the fact that the country’s wildlife industry is a commercial enterprise and that no industry (of any kind) can survive, let alone prosper, if it has no market for its produce. And CITES is denying us our essential legal markets because “making money out of wildlife” it is contrary to the desiderata of its majority animal rightist affiliates. Indeed, as a consequence of them “buying votes” at CITES, by one means or another, the animal rightists are now controlling the outcome of the consensus decisions that are made at CITES. THAT means they have the capability to destroy South Africa’s wildlife industry – which is their not-so-hidden agenda. CITES came into being over 40 years ago for the dual purpose of: (1). STOPPING the illegal trade in wildlife and wildlife products (particularly for the purpose of stopping the poaching of elephants and rhinos); and (2). REGULATING the legal trade. Since then CITES has been ‘captured’ by its massive overload of accredited animal rightist NGOs who are busy turning the convention into an organisation that PROHIBITS the wildlife trade; and they are destroying the international markets for valuable wildlife products (like ivory and rhino horn). Whilst the states of southern Africa are striving to integrate the needs of its wildlife resources with needs of its rural people – to thus create a genuine state of symbiosis between them – the animal rightist NGOs are undermining everything that we are trying to achieve. We believe this state of affairs is being singularly avoided by the South African government (that the government is avoiding conflict); and many people in the wildlife industry, and intelligent nature-loving people in South African society, are unhappy about this state of affairs. The mood of South African society is that it wishes to see a change in this state of affairs. 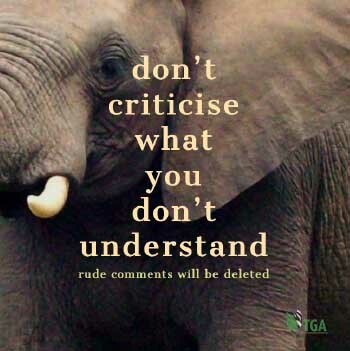 Most thinking people in South Africa, in fact – when the facts are presented to them – cannot understand why government continues to cow-tow to such a corrupt organisation – which, in every respect, is the enemy of Africa, of Africa’s people, and Africa’s wildlife. The TGA’s principles are rooted in the World Conservation Strategy (WCS) (1980) – as are those of the Department of Environmental Affairs (DEA). The DEA and the TGA, therefore, have a common set of standards that should make us close-partners in our endeavours to properly manage South Africa’s wildlife resources for the benefit of all South Africans. The TGA is, therefore, concerned when it sees the DEA straying from the straight and narrow road that the WCS has prepared for us both to follow. This email, therefore, should not be interpreted as being an aggressive attack on the DEA’s prerogatives, but rather as an attempt to inform us both how the other perceives CITES to be – with respect to our respective visions and missions. The attachment will give you an exact perception with regard to how the TGA “sees” CITES; and what the TGA perceives to be our options. This information is already available to the public on the TGA’s website. I believe this issue is of such importance that it deserves to be addressed by government at the highest level and in the most serious manner possible. The TGA is available if further input is required.